Convenient, hassle free way to stay hydrated before, during and after exercise. Vyomax ready to drink drinks are specifically formulated with the highest quality ingredients to provide you with a handy drink when on the go. With no shaking or extra liquid required and a massive shelf life, our drinks are great when in a rush or on the move and should always be found in your gym bag! A refreshing 2:1:1 BCAA drink, perfect to take before, during and after your workout. 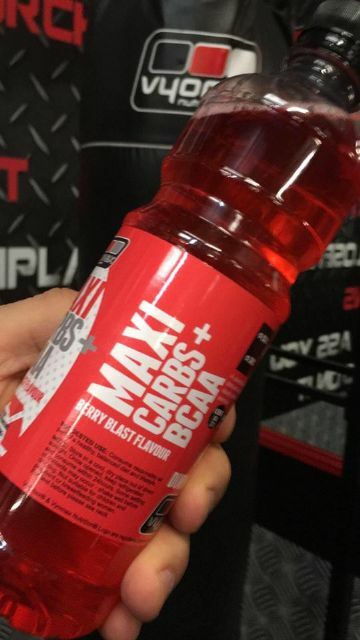 Maxi Carbs® drinks are packed with carbohydrates and added BCAAs. Perfect for before, during and after exercise. Maxi Burn® is a low calorie, fat free, refreshing drink with 1500mg L-Carnitine added Caffeine and Green Tea in every bottle. A powerful pre workout drink taken ideally an hour before exercise.